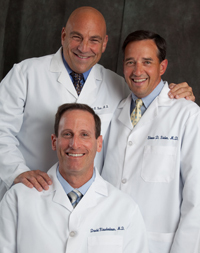 Please call 732-422-1222 to have a staff member arrange a consultation or follow-up appointment. We can help determine your plans insurance benefits and coverage, and review appointment availability that best matches your busy schedule. Our office is not in-network with commercial insurance plans. If you have an out-of-network policy, our staff will assist you in determining your benefits. AOS doctors routinely see patients with no out-of-network benefits or uninsured. Contact us for our reasonable office rates. AOS is a medical provider for workplace injuries covered by workman’s compensation. We participate with many leading insurance companies providing medical benefits to injured employees. You will need your claim number and authorization from the insurance company prior to scheduling an appointment. AOS provide medical treatment to patients injured as the result of a motor vehicle accident with insurance coverage governed by PIP (personal injury protection). You can simplify making your appointment by having your claim number available. AOS is able to treat Medicare patients. The office has opted out of direct Medicare participation. Medicare therefore will not permit AOS to submit insurance claims and will not make payments for services provided to patients with Medicare benefits. The Social Security Act does allow Medicare beneficiaries and physicians to contract privately outside the Medicare program. You may be reimbursed for treatment from a true secondary insurance plan. Further details are available in the Medicare Private Contract Form. Payment is expected at the time of the office visit unless prior arrangements are made with the billing department. We gladly assist with insurance claim forms. Surgical claims are submitted on your behalf by our billing department and they are always available to answer questions during usual business hours.